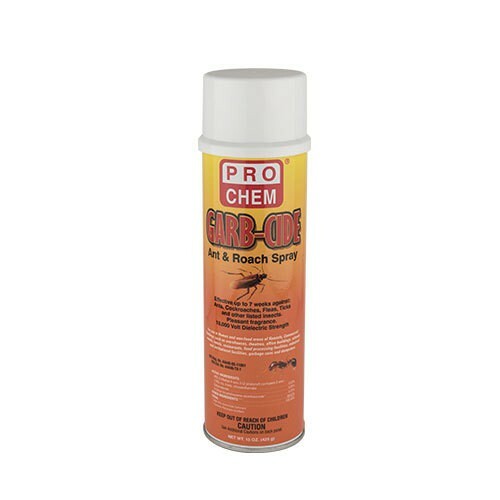 Garb-Cide | Pro Chem, Inc.
GARB-CIDE insecticide is a specially formulated spray that is designed for use in and around dumpsters, garbage cans, and other areas where insects breed or attract. It has a very powerful knockdown and kill factor along with a pleasant cherry fragrance. Low VOC (volatile organic compound). Provides total control of crawling and flying insects, including ants and roaches. Contains ETOC to kill bugs instantly, and esfenvalerate for up to 7 week residual killing action. Hold can about 12 inches from surface being sprayed. Spray surface until wet. Direct spray into cracks, around pipes, under spaces or wherever insects hide or breed. See product label for more specific instructions. 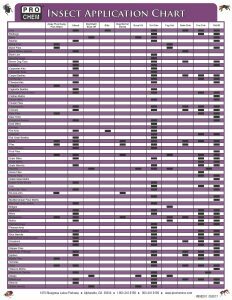 Do not use in food/feed areas of food/feed establishments, restaurants, or other areas where food/feed is commercially processed.